ShotDeadInTheHead is pleased to announce a permanent new promotion for our shop. 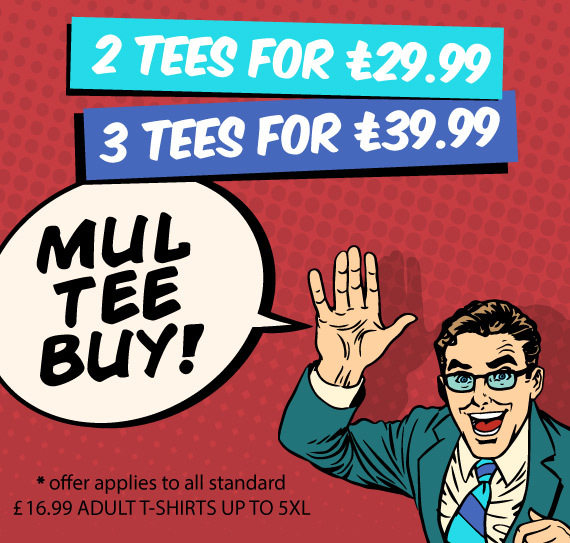 The deal is buy any 2 Tees for £29.99 or 3 Tees for £39.99 at checkout. Note: This applies to Adult £16.99 t-shirts only (including S-5XL sizes.) Please promote this deal and drive sales and earn commision.